Crowley tugs on the East Coast use low-sulfur diesel fuel and ultra low-sulfur diesel (ULSD) on the West Coast. Additionally, the company has installed ECOTIP fuel injectors in the tugs. This has helped reduce the amount of particulate matter released into the atmosphere by 44 percent and the clarity of stack emissions has improved by 75 percent. Though the cost of the ULSD fuel is about four cents more per gallon than regular diesel, the environmental impact is worth the extra cost. ULSD provides a significant reduction in sulfur content even over that of low-sulfur diesel, reducing it by an additional 16 percent, from 500 PPM to 15 PPM. 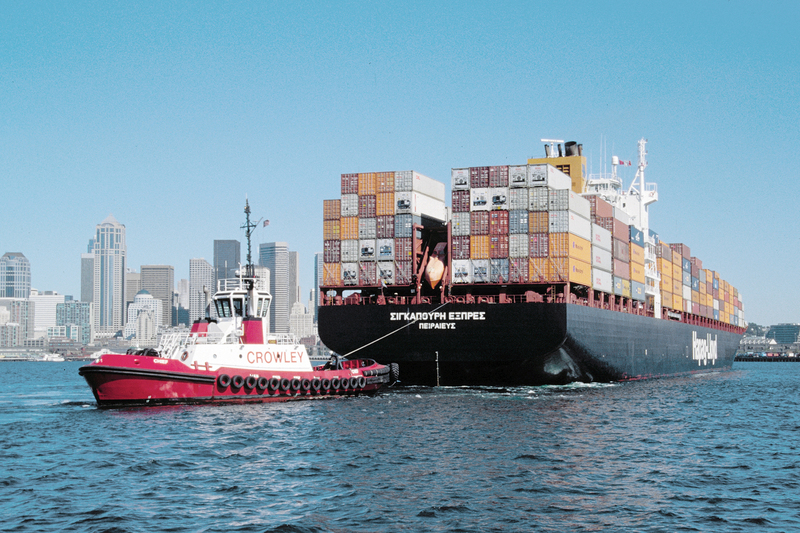 Crowley’s switch to ultra low-sulfur diesel is a component of its Safety, Quality & Environmental (SQE) certification from the American Bureau of Shipping (ABS). Having achieved its environmental certification in late 2007, Crowley is one of the few tug companies to be fully SQE certified.